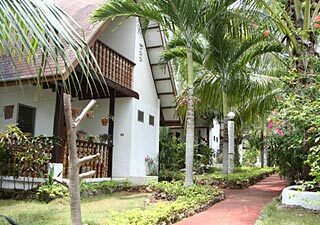 Flower Garden Resort is run by two Swiss, Erwin and Hampi, who take turns in managing this nice little friendly resort. 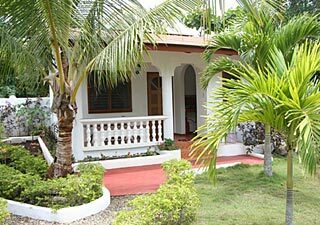 This place consists of three neatly designed houses, a duplex and single bungalow in a peaceful garden about 150 meters from the beach, just behind Alona Palm Beach Resort. The garden now includes a swimming pool. All houses can be rented with or without airco, and include a fully equipped kitchen, so that you can do your own cooking -- very practical if you have special dietary wishes or want to save money if you are a long-term traveler. If you want to stay here, it is advisable to make reservations. 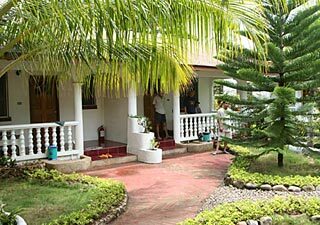 Prices per night are 22 euros for the houses, and 18 euros for the duplex; reduced rates are available on a weekly or monthly base. 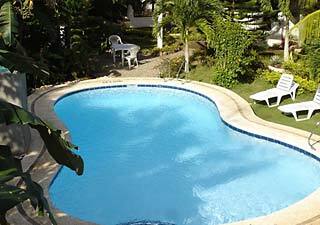 This is the best value for money on or near Alona Beach.